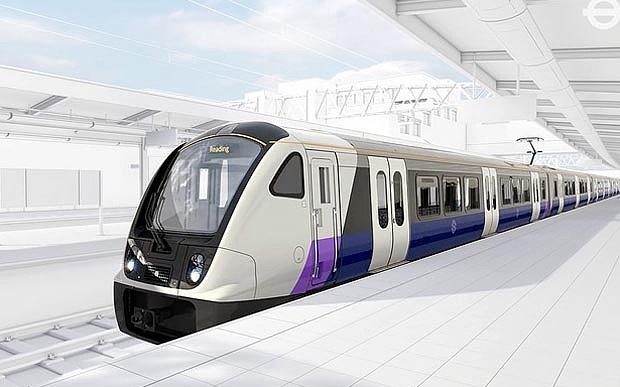 TFL has unveiled designs for the new Crossrail trains due to enter service from May 2017. 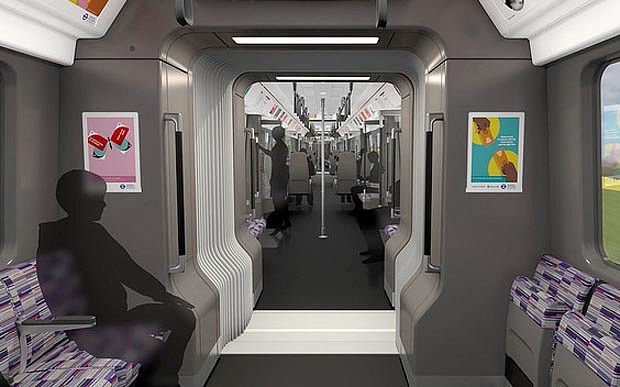 Constructed by Bombardier, each train be will be one and a half times longer than the longest Tube, with nine walk-through carriages providing space for 1,500 passengers, and four dedicated wheelchair spaces. With just 50 seats per carriage, 1,050 of those 1,500 potential passengers would have to stand. Running between Reading to the west of London and Shenfield to the east, the train’s boast features including intelligent lighting and temperature control systems, and will use up to 30 per cent less energy through regenerating electricity back into the power supply when braking. This entry was posted in Inspiration, Out and about, Prototype and tagged inspiration, London Underground, prototype, railway. Bookmark the permalink.